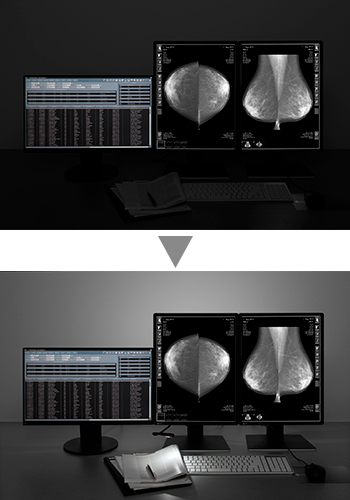 According to the "European guidelines for quality assurance in breast cancer screening and diagnoses," in order to prevent reflections on the monitor screen, the mammography diagnoses reading room must have an illuminance of 20 lux or less. 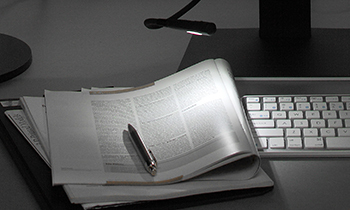 However, viewing a bright monitor in a dark environment over a long period of time can cause eye strain and make it more difficult to see documents or other tools in the workstation. 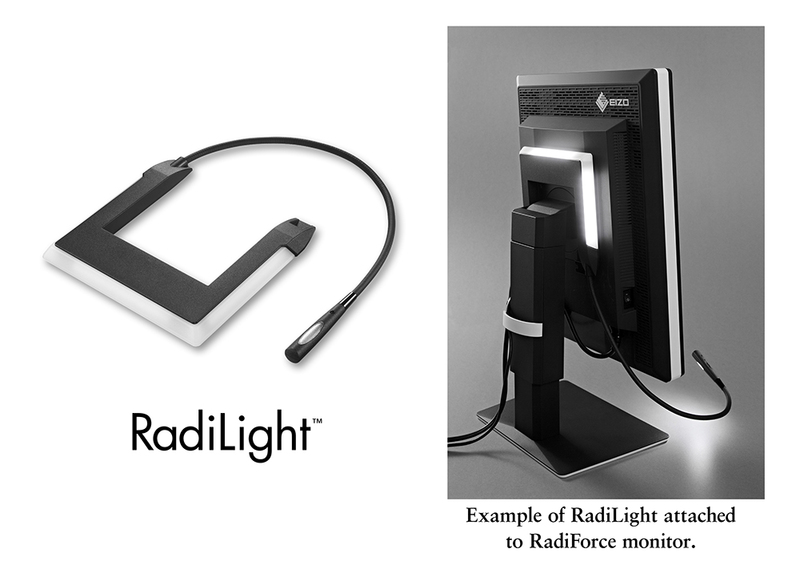 RadiLight attaches to the back of RadiForce monitors and illuminates the wall behind the monitor, providing lighting in accordance with these guidelines; ensuring that there is no reflection on the screen to interfere with your work. 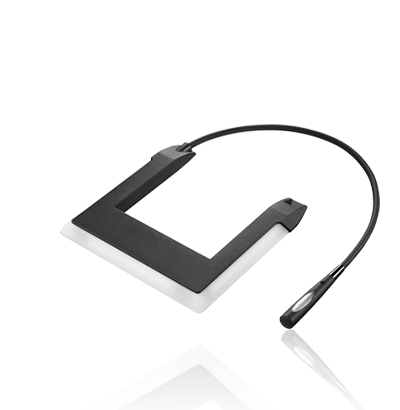 This ambient lighting reduces the amount of eye strain on the radiologist, without reducing screen visibility. The brightness of RadiLight's wall light feature, RadiLight Area, can be adjusted to 10 different levels of brightness. This allows you to choose the most appropriate and comfortable lighting for your environment. 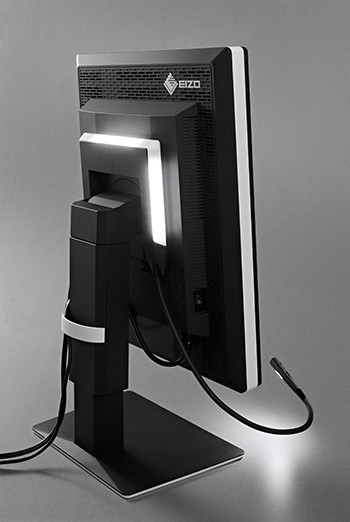 For instructions on how to attach RadiLight to a ColorEdge monitor, please contact EIZO.